Yesterday, Colin started his first day of kindergarden—for the second year. This was an easy decision for us because in Mississippi it's the law. Given his January birthday he is only eligible to for public kindergarden this academic year. Meanwhile, back in Alberta, most of his cohort will be headed to the first grade in a couple of weeks. But it was also an easy decision because Colin so clearly needs the second year in kindergarden. So yesterday off he went, with backpack, lunch bag, and nap mat (made from fabric he picked out himself) for his first day of day-long kindergarden. Unlike last year, when he was on the verge of tears as we dropped him off, this year he bounded into the classroom, curious about what was in store. And, so far, Colin it seems to be working out for him. He declares that he's already made two new" girlfriends." Lucky guy. 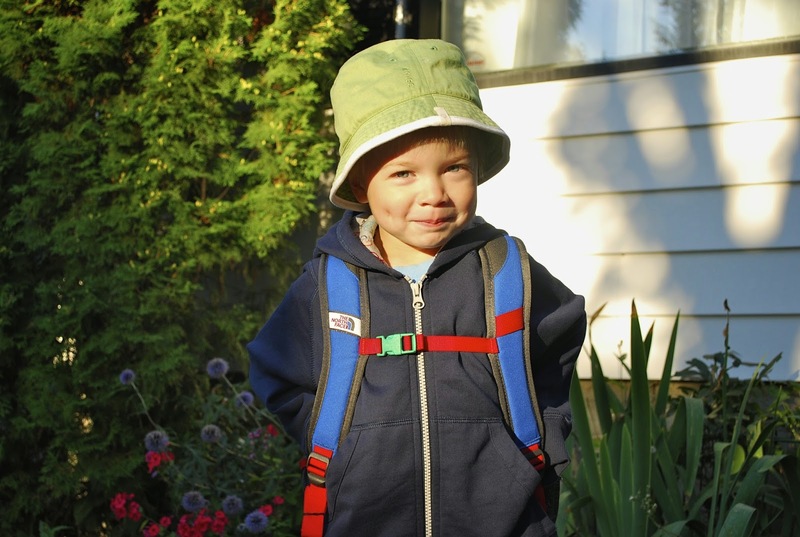 Colin (2014), headed to drop off all of his gear at the kindergarten open house last week. Colin (2013), headed to his first day of kindergarden, the first year. What a difference a year makes!